It’s never too early to start planning a pregnancy. Ideally, you should plan your pregnancy at least 3-6 months in advance. This will allow you to prepare for a healthy conception and pregnancy. A general check-up by your doctor and a routine PAP smear is advisable. The healthier you are, the better chance of having a healthy baby, and your body provides the healthiest environment in which to grow your baby. Being active and having a regular exercise program will help you to cope with the physical demands of pregnancy. If you don’t already exercise, find activities that you can do regularly like walking, hiking, biking or swimming. Or join a gym and try aerobic activities or floor exercises. Overheating in the first weeks of pregnancy may be harmful, so sauna and hot tub use is discouraged. You should exercise in moderation; excessive exercise can diminish fertility. If you are not already exercising, start a program that you can continue throughout your pregnancy. See you dentist and oral hygienist. The health of your teeth and gums, can affect the growth and development of your foetus. Studies show that gum disease and oral infections can increase your risk for premature birth and low birthweight babies from either preterm labour or premature rupture of the membranes. Schedule any dental work that is needed to be done before you fall pregnant. 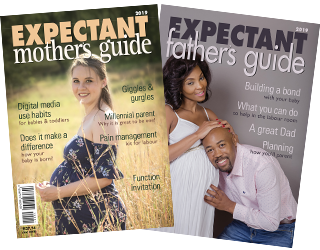 Have a good chat to your partner and share with each other your priorities, expectations and fears about pregnancy, birth and parenting. You can then start on the same page for your pregnancy. Try to reach your goal weight. Becoming pregnant is one of life’s greatest motivators for making healthy lifestyle changes. Try to maximize your own health and fitness. Do you need to go for genetic counselling? Read up on genetic counselling in one of our other articles called Genetic Counselling. If you are using contraceptives such as the injection, IUCD or the pill, you should change to the diaphragm or condom during these 3-6 months until you have experienced a normal cycle. Once the initial 3-6 month period is over you can attempt to conceive. Remember not all women fall pregnant immediately. About 80% of women usually will fall pregnant within one year of trying. Make a habit of writing down the 1st day of your menstrual period. This day is used to work out the estimated date of delivery.